Indigo Vision julkaisee uuden 4K -kameramallistonsa. 12MP erottelukyky (4000 x 3000) takaa erinomaisen kuvanlaadun, myös hankalissa olosuhteissa. Mallisto koostuu usean tyyppisistä kameroista: bullet, kiinteä kamera ja minikupukamera, sekä laajakulmakamerat. HD to 4K Resolutions – Regardless of the resolution you choose each camera comes with outstanding WDR, Low Light and can stream up to a maximum of 30fps. Form Factors – Suitable for a wide range of environments this range offers Internal, External, Vandal Resistant, Built-in IR and IK10 form factors. Extensive Temperature Range – Regardless of the weather with a minimum of -40oC and a maximum of +60oC each camera guarantees effective operation. 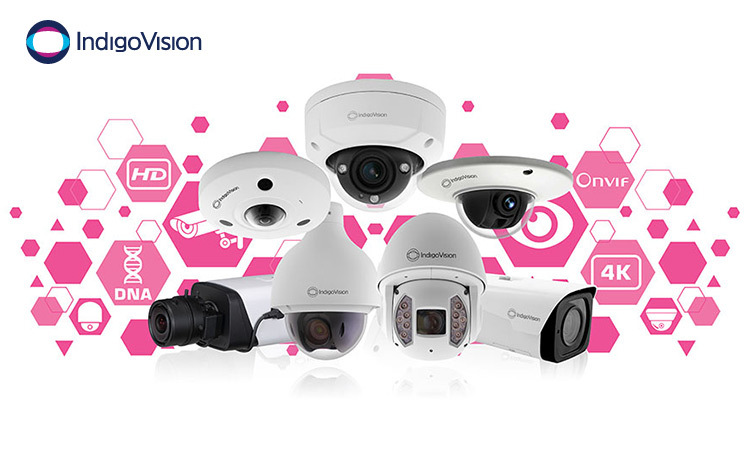 Advanced Analytics – With various analytics on offer including Motion Detection, Hooded, Tripwire and Intrusion, each camera will give you much more than you bargained for. Open – Connect seamlessly with Control Center, IndigoVision’s Security Management Solution, or any other third party system, using ONVIF’s Profile S standard. Time Saving – Installed using a single PoE cable these cameras are quick to install saving installers time. Reliable and Tested – A rigorous testing regime including vibration and extreme temperature ensures all cameras have IndigoVision’s seal of reliability before they are sold. When you purchase a BX Camera you are purchasing a camera that is fit for purpose.